Each novel of the Two Blue Doors series held me captive via savory recipes and well written character development. Juliette is no stranger to pain. After career set backs, the death of her grandmother, and her own mother's failing health, Juliette is on the verge of a breakdown. Her own love life is in shambles after she splits with her serious boyfriend. She finds solace through her family, her friends, and her recipes. She also unlocks family secrets that could threaten her peace...or will it provide healing? I was enraptured by the detailed family dinners, the recipes sprinkled throughout the book and the mystery surrounding her grandmother's love life. As Juliette travels throughout each novel, we are given glimpses of culture and landmarks. It's sure to please both foodies and travel queens alike! 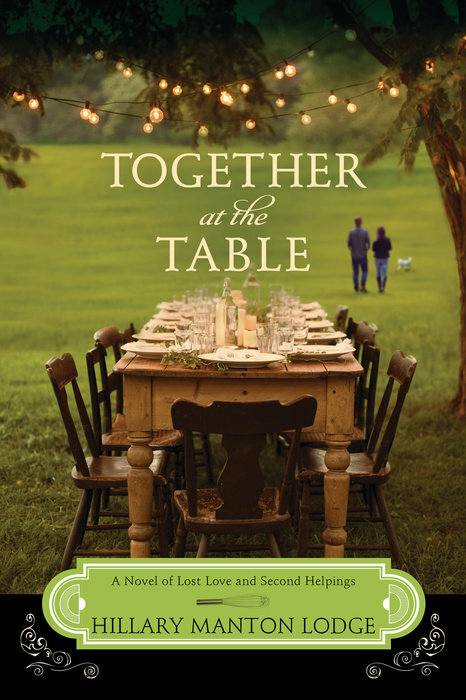 I loved Together At the Table, and found the ending to be satisfactory, albeit bittersweet. Many thanks to Blogging For Books for my copy! All opinions are my own. This series is one of my all-time favorites. When I can, it will definitely be one I go back and re-read. :) So glad you enjoyed this one too, Heather!